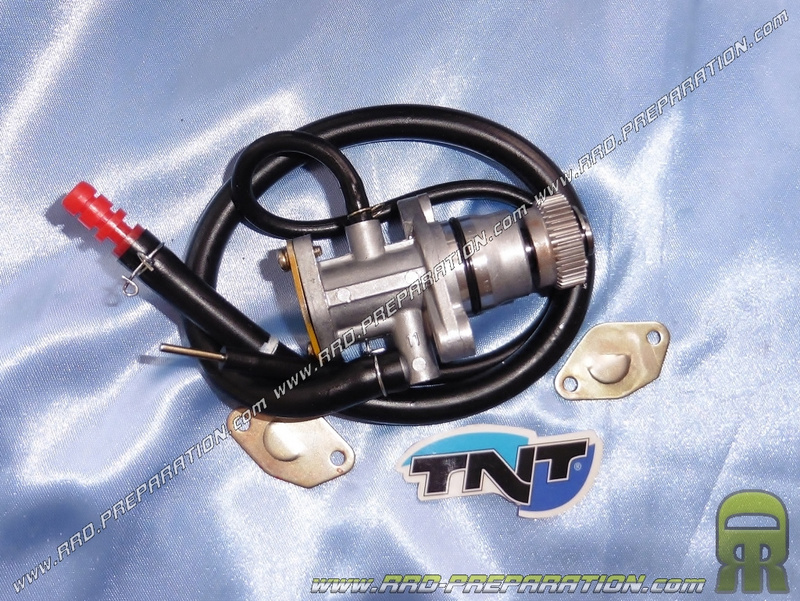 An indispensable element for those who preserve their separate lubrication with the engine oil tank for automatic mixing. 29,83 € 29.83 tax incl. 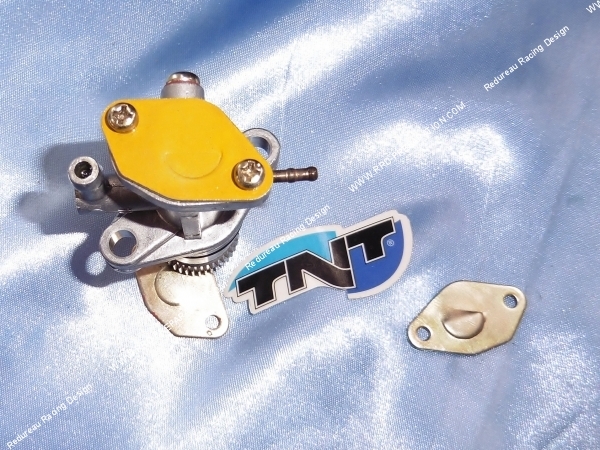 Ideal if worn or malfunctioning of your old unit, here under the brand TNT Racing adjustable oil pump that uses the same characteristic as the original oil pump on scooter 50cc 2 stroke engine Minarelli Vertical and Horizontal such as Booster Bw's, MBK Nitro, Yamaha Aerox, ... but also the CPI scooters, Aprilia SR50 ... and many other models.